As they say, the kitchen is the heart of the home. Generally, it’s where the family congregate at any hour of the day, whether it’s grabbing a piece of fruit from the fridge, crowding around an island bench to debrief the day or hovering while preparing dinner. The kitchen is really a room to get right. To do so, here are 6 kitchen trends that will not only have your kitchen looking fantastic, but practical too. Functional and big enough to fit catering platters in, trough sinks suit pretty much any and every style of kitchen. The style can complement modern kitchens, bringing a sense of the old in, and they fit right in with rustic style kitchens. Classic kitchens with a farmhouse styling also suit trough sinks and the style can easily fit in with industrial kitchens too. 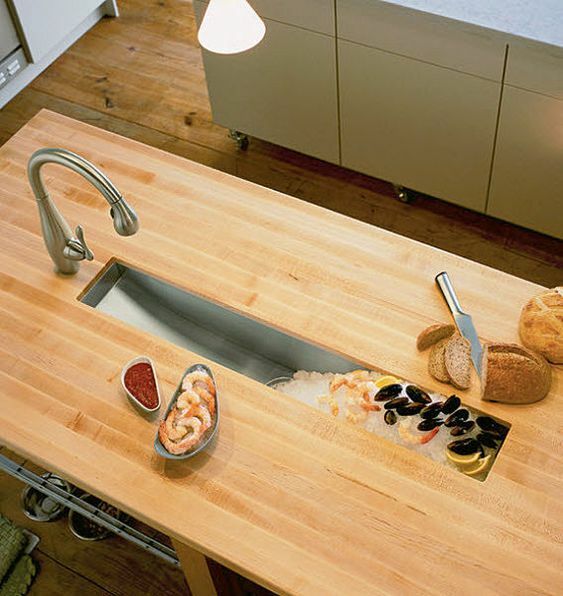 Another way to incorporate a trough sink into the kitchen design is to put in a multifunctional trough that can be used for anything from planting herbs, to chilling drinks or even keeping food chilled. A kitchen island in a custom kit home design. Do you have a wide, open kitchen area and need something to fill it? Pop in an island bench. It’s a functional space that people can gather around and as well as eating, preparing or serving. It can also be used as a great storage space. You can also include some amenities that you wouldn’t necessarily have had space for without it. Always wanted to include a wine fridge in your kitchen? Under the island bench is the perfect spot for it. There are a couple of ways you could use the island bench as well. Either you can leave it completely bare on the top, meaning it can be used as a seating area or for serving, or you can pop some prep appliances on the bench, for example, a prep sink or a stove top. Either way, the island bench is both practical and fashionable – it’s a win/win addition to your kitchen. There’s a long list of options when it comes to storing things in the kitchen. While there are some utensils and ingredients you may want to store away, there are ways you can include these elements in your kitchen design. If you need spices or cooking utensils handy, do you really want to be opening and closing drawers or cupboards every time you use them? 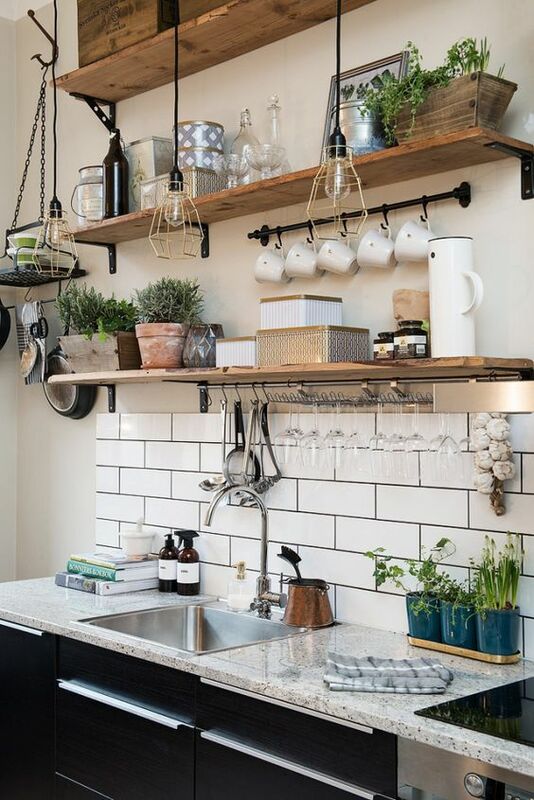 Not only will you get some practical storage solutions, but you can utilise some gorgeous containers and utilise the shelving as decorative pieces. Or you could line up your cookbooks so they become part of the décor. Alternatively, if you have some beautiful plates you’d like to show off, shelving can be a great way to do so. Bring the outside in with living walls. These can either be a decorative piece, including some greenery in your kitchen design, or they can be practical, with herbs that you can use for cooking. While the location of the living wall will determine which plants you can use, all you need is a blank space, the right materials and you’ve got yourself a vertical garden. You can get the materials from your local Bunnings, but these are also fairly simple to make if you’re confident. On trend, gorgeous to look at and if it works, a handy cooking ingredient too. Add visual interest and depth to your kitchen by introducing metallics to your kitchen. Ignore the advice to avoid mixing different types of metals – don’t be afraid to combine silver, brass and iron. Be bold! It creates texture and personality, things a trendy kitchen needs. A tip though, is to keep the metals on the same visual plane. For example, let’s take lighting, faucets and cabinets. 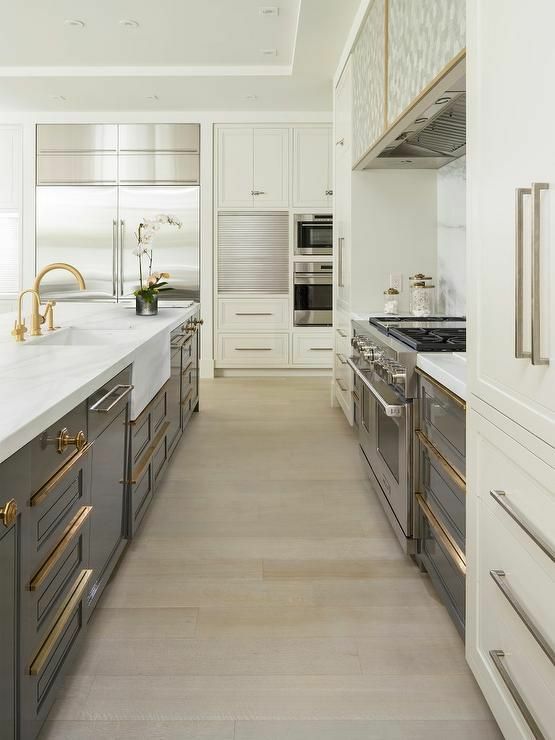 While it would look weird to mix metals on the same visual plane, by all means, use copper in the lights, stainless steel appliances and brass on the cabinets. Another tip, use one finish repetitively and the other as an accent. This will balance them nicely. One trend that won’t be going anywhere fast is the addition of smart technology. A smart kitchen is an excellent kitchen, so when you’re starting from scratch, it’s really an opportunity to ensure your kitchen is in line with the times. This may mean a smart fridge, an oven that tells you when your cake is done or a coffee machine that automatically turns on in the morning. 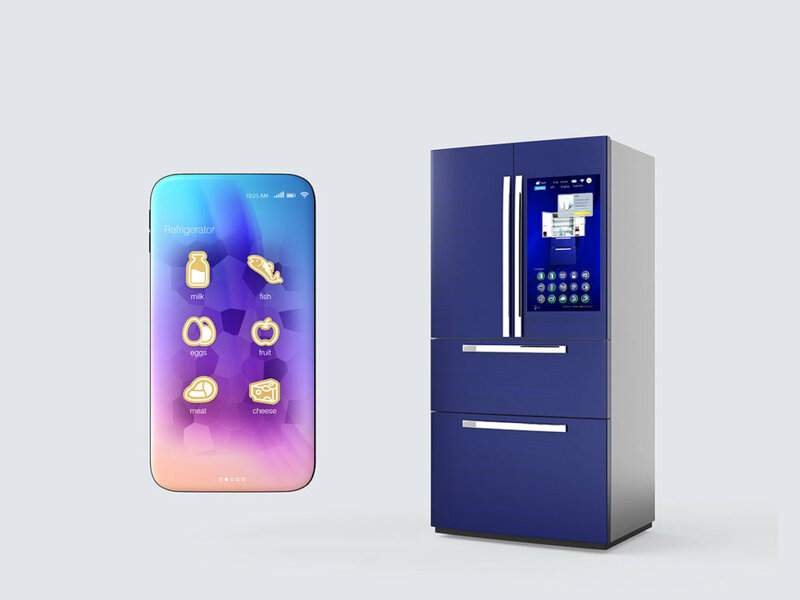 Appliances with touch-screen controls, WIFI capabilities and social media connection are now the norm, so for all the culinary enthusiasts, pop those on your list of must-haves. When you’re building your home from scratch, everything about it should be tailored to you, your family and your lifestyle. That definitely includes the kitchen. Everything should reflect the way you’re going to use the kitchen, from the type of appliances through to the layout and functionality. On the topic of functionality, it’s a good tip to zone your kitchen in four categories – prep, cooking, storage and cleaning. Customising your kitchen also means you can style it to suit your personality. It should also be customised to suit the style of home you’re building. There’s no point having a farmhouse style kitchen in an ultra-modern home. Of course, you also have the opportunity to choose the smaller elements, from cabinet colours through to splashbacks and handles. 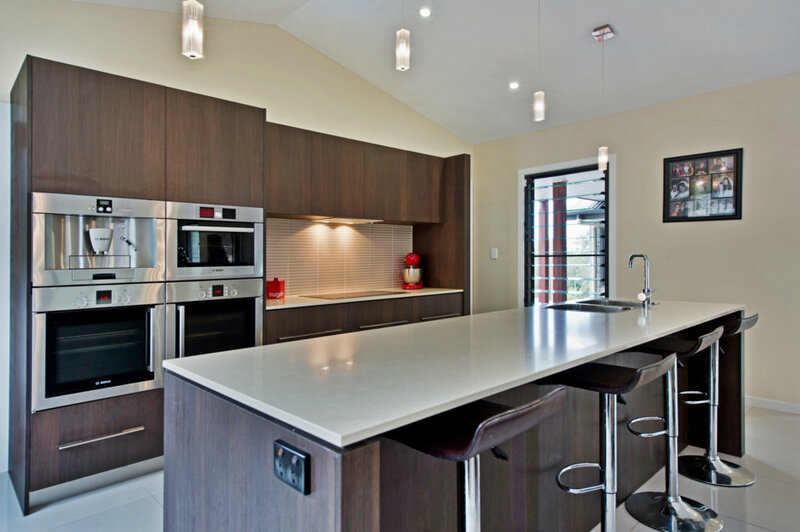 When it comes to your kitchen, everything about it should reflect you and your circumstances. Check out our ultimate guide to customising your home. Here you’ll learn all about the different styles of kitchens you can put in your home.